Thank you and enjoy the May 18, 2017 Restaurant Stroll. For On-line Purchases paid by credit card, please make sure we have your complete address so we can mail your ticket-book vouchers. Whose is ready for our 8th Annual Restaurant Stroll? 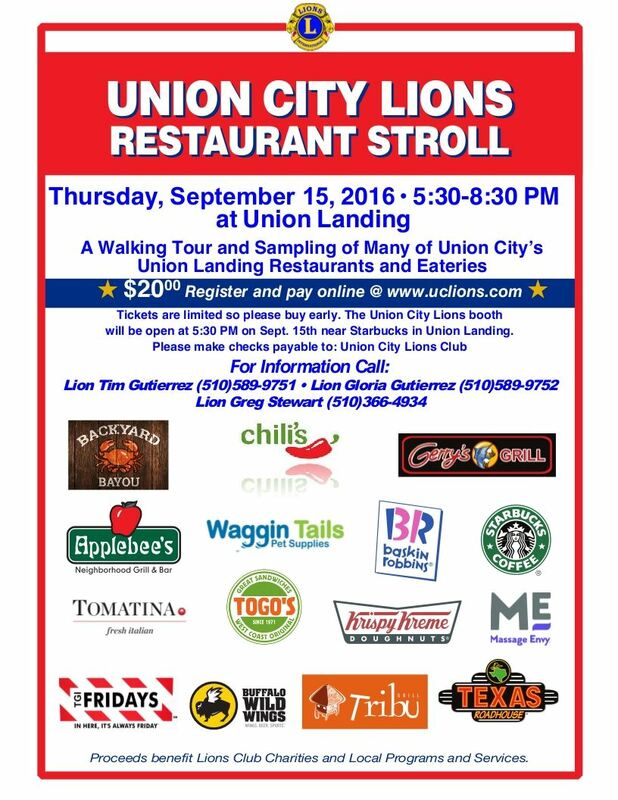 An evening with friends, new and old, to stroll the Union Landing to sample foods from the local restaurants. While we haven't finalized this years Participants, you can click on the following link to see who was on board for the 2016 Restaurant Stroll.